New findings from NASA’s Mars Reconnaissance Orbiter (MRO) – including data from the Compact Reconnaissance Imaging Spectrometer for Mars (CRISM), built and operated by the Johns Hopkins University Applied Physics Laboratory in Laurel, Md. 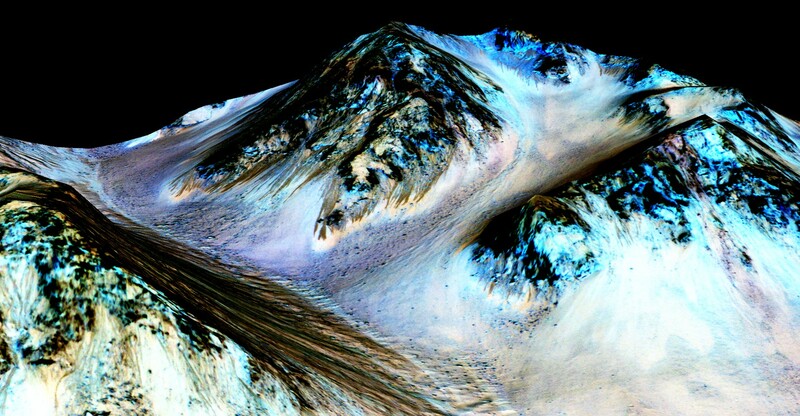 – provide the strongest evidence yet that liquid water flows intermittently on present-day Mars. 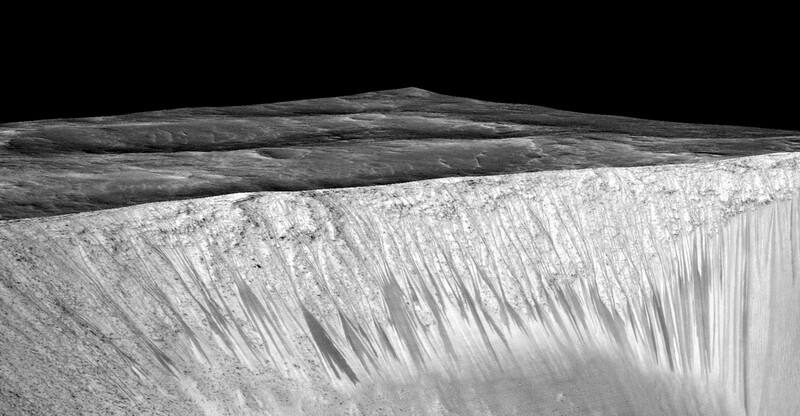 There are eight co-authors of the Nature Geoscience paper, including Mary Beth Wilhelm at NASA’s Ames Research Center in Moffett Field, California and Georgia Tech; CRISM Principal Investigator Murchie of APL; and HiRISE Principal Investigator Alfred McEwen of the University of Arizona Lunar and Planetary Laboratory in Tucson, Arizona. Others are at Georgia Tech, the Southwest Research Institute in Boulder, Colorado, and Laboratoire de Planétologie et Géodynamique in Nantes, France.